Our premier auto glass company prides itself in providing quality services to customers in the Hollywood area for over 20 years. We are experts at performing windshield repair and windshield replacement services. If you are looking for brand new windshields Made in USA, we’ve got you covered. Our shop only uses the finest windshields and auto glass replacement in the industry. 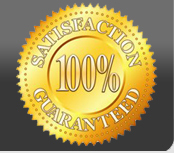 We stand by our work and we offer customers 100% satisfaction guarantee on all work to include our high quality windshield crack repair service. Our work is warrantied with lifetime free warranty. This means that if anything should happen to your windshield or auto glass replacement that we’ve performed for you, all you have to do is call us back and we will stand by our work. No other company in the Hollywood area has this kind of iron clad warranty. We also do this for our auto window tinting services as well. If you hire us to tint your vehicle and you are not satisfied or if the tint is faulty, we will come right back to your place and to it completely free of charge. Please give our shop a call today to see what is in the realm of the possible when it comes to taking care of your automobile’s glass.